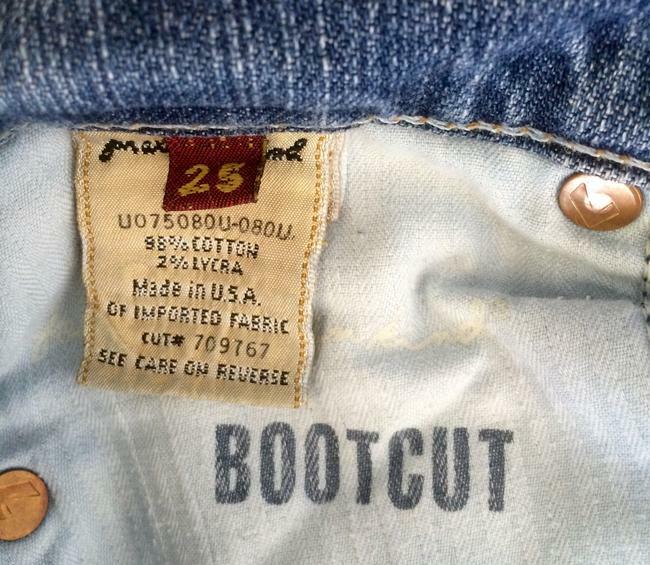 At both heels, the jeans have visible signs of being walked on. 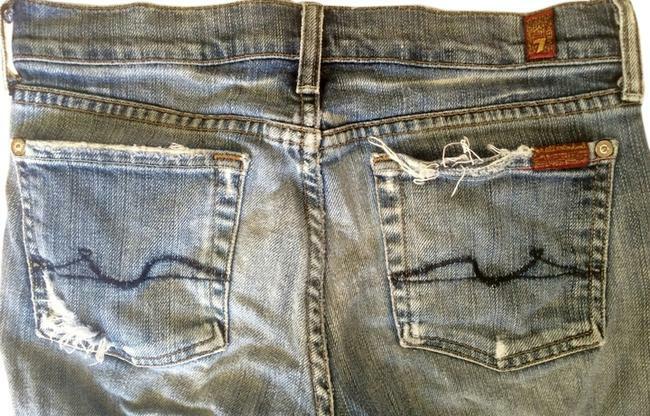 Purchased as distressed jeans, thus they were intended to have a 'hole' in the right leg and distressed back pockets. The bottoms of the jeans could easily be hemmed to remove the 'signs of wear' with plenty of length left for someone ~5'5" as the jeans do tend to run on the longer side. Extremely soft and comfortable jeans.